Replacement filter for the T3 Source Shower Filter Showerhead. To ensure your filtration unit is operating at peak performance, replace the filter every 10,000 gallons (6 months) or when the color indicator turns black. Goodbye dry damaged hair, hello soft touchable tresses. Washing your hair is the first step in your hair care routine. Regular household water often contains such a high level of chlorine that it damages the appearance and health of hair. Washing your hair frequently increases your exposure to chlorine. 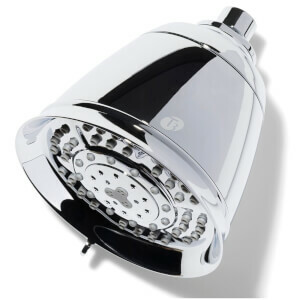 Patented filtration system removes up to 95% of chlorine from shower water. Improves hair health, hair color retention and skin appearance. Clinically proven to reduce frizz while enhancing shine, body and comb-ability.